It’s hard for many to imagine tech like virtual reality (VR) and artificial reality (AR) being used anywhere but the world of entertainment and video games. After all, Pokemon Go gave AR its biggest bump yet in terms of popularity, and gaming seems like the most logical place that VR—and its often-clunky headsets—would find a home. But believe it or not, the workplace itself is set to benefit from a whole range of AR, VR, and mixed reality (MR) tech. Indeed, the advantages of these alternate reality technologies are now very real, especially when it comes to training, sales, and marketing. It’s time to transform your workplace using AR, MR and VR. Let’s discuss. If you’re overwhelmed by the acronyms, just remember this: AR, VR, and MR are all ways to present information in a visual way. The one thing that varies is how they do it. For AR, that’s laying the information out there for users in a hands-free way to make their jobs better, easier, and faster than ever before. Wait—you mean there’s something to do with AR beyond just searching for Pokemon creatures? Yes! Big things. 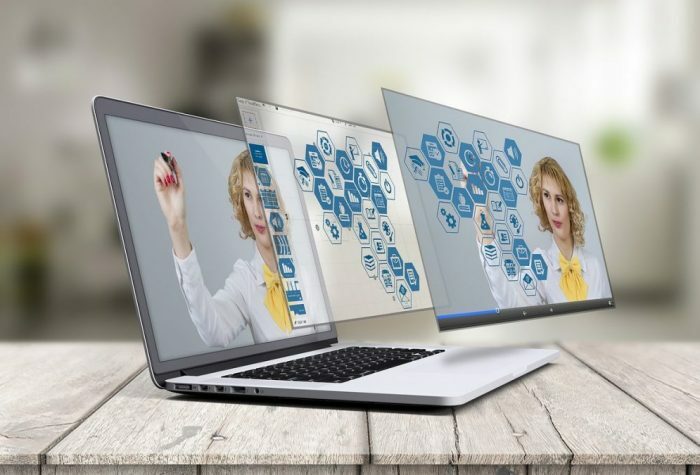 In fact, AR is quickly surpassing VR as the most promising technology in business because it’s cheaper, easier to use, and doesn’t require the use of a pricey or head-ache inducing headset. In fact, global AR sales are expected to hit $140 billion by 2021. Imagine you are a mechanic tasked with fixing a motor—a pretty common task, right? Except you’re used to working on Fords, and this is an Audi. When you open the hood, you realize quite a few differences. With AR, you could overlay a Ford motor onto the Audi parts—quickly name parts you don’t recognize—see exactly how pieces fit together—all without leaving the hood. Even better, because you’re engaging more senses (learning visually and physically), the information will stick better in your brain the next time an Audi customer pops in. That’s the beauty of AR: it makes learning easy. In fact, 77 percent of Millennials and 47 percent of Boomers (!!) say they’re willing to use it in their work lives. AR might be the easiest technology to use to transform your workplace. MR has suffered from an identity crisis in recent years, but it’s making a clear comeback thanks to Microsoft’s HoloLens product, which projects 3D objects and holograms into physical space. For me, mixed reality is the big wow when it comes to future-thinking tech. Imagine being able to walk around the design of a new building—a new car—a landscaped area—a human body suffering from nearly any condition—without those things ever existing in physical space? On the training side, the potential is over the top. MR can be used in healthcare to understand complex medical issues and how they impact the body (check out my colleague Shelly Kramer’s article on the ways HoloLens is disrupting the field of medicine); they can allow sales team members to present new products in “real life” sizes and shapes to help customers better understand them; they can create a just-plain-cool attraction at your next tradeshow to attract new customers and build a stronger brand. When it comes to mixed reality, the possibilities to transform your workplace are endless. And although the use of special lenses or hardware is still required, it’s got huge potential in my book—even bigger than VR. It might have been the coolest out of the gate, but virtual reality has suffered some PR distractions in recent years, namely the fact that it’s too costly, difficult, or painful to use. However, I do believe VR is finally on its way back to the cool kids list. You’ve likely already experienced some VR at some of the fancier movie theaters recently—blowing your hair, smelling like fire, or shaking as if a building is crashing around you. The truth is, that same tech can be tremendously helpful in training disaster rescue teams, military members, and others in dangerous fields of work—allowing them to experience the stress of doing a certain job without having to risk their lives before they are fully proficient. Yes, VR is also cool for building brand awareness and getting a viral following. But I believe the most valuable place we’ll see VR flourish is in training and education. Come to think of it, AR and MR will play a huge role in that aspect, as well. It’s easy to assume VR, AR, and MR have no value in “real life” situations, but the reality is they have the ability to make deals, train soldiers, save lives—and pretty much everything else in between. Yes, there are some hurdles to mass adoption—but I truly believe you’ll see these technologies transform your workplace sooner rather than later. This article was originally published on Future of Work.